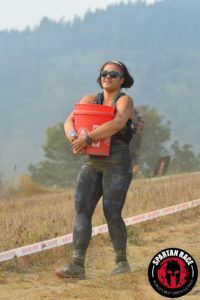 After completing my first accidental Spartan Race Super, next on my list was to deliberately race a Spartan Race Super. My race of choice: Spartan Super in Red Deer, Alberta. The first race in my life in which I had to board a plane (but not my last)! I chose this race because I had heard it was mostly flat terrain, and a few of my friends from my training club, Vancity OCR were going. Look at that! A DELIBERATE Super race, completed! The fun thing about acquiring this Trifecta is that it can be any combination of these three distanced races in Canada and the US combined. 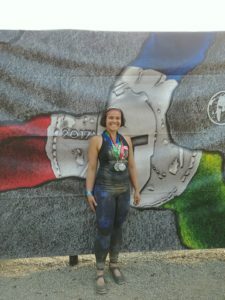 Spartan does not give out extra prizes for conquering terrain with a crazy incline, nor does it reward you for doing all of the men’s weighted obstacles; an option which is not presented to the men, but which the women can self-elect to choose. 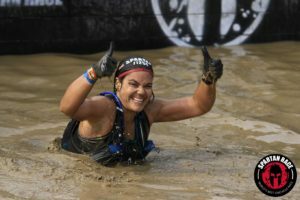 I do not believe that there should be any distinction either, I believe that it should be up to the participant to learn about the races and the terrain and climate and choose accordingly to give themselves the best race experience, suited to their athletic competencies and temperament. 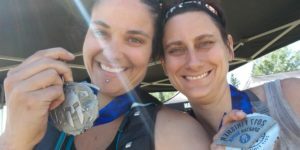 Once I shattered the preconception that I would not be able to complete a Spartan Trifecta this year upon completing the Red Deer Super, immediately my race mate from the Super and I were in contact to sign up together for the Beast in Seattle. The Seattle terrain was also mostly flat, some incline in places but it was held on the ground of an equestrian ranch, not on a mountain or motocross park (some of the terrain choices famous for crazy inclines). Having never run 21 km before, I was certainly concerned I would not be able to complete a Beast with a smile on my face. Once again, I was surprised. As my watch started to tick past the 5 hour mark, the same thoughts which were in my mind during the Super were also present during the Beast (when do I get to eat again, how far into it am I?) but those thoughts were not a greater order of magnitude, on account of the increased distance. That being said, the order of obstacles was extremely important during the Beast. Obstacles which I am good at, those which involve strength, are usually my favourite and I look forward to them. I learned during my Beast day, when those strength-focused obstacles are placed toward the end of the race, I’m not quite as enthusiastic. Here’s a less than cheery shot of me doing the Bucket Brigade. Exhibit A: No water in my ears! 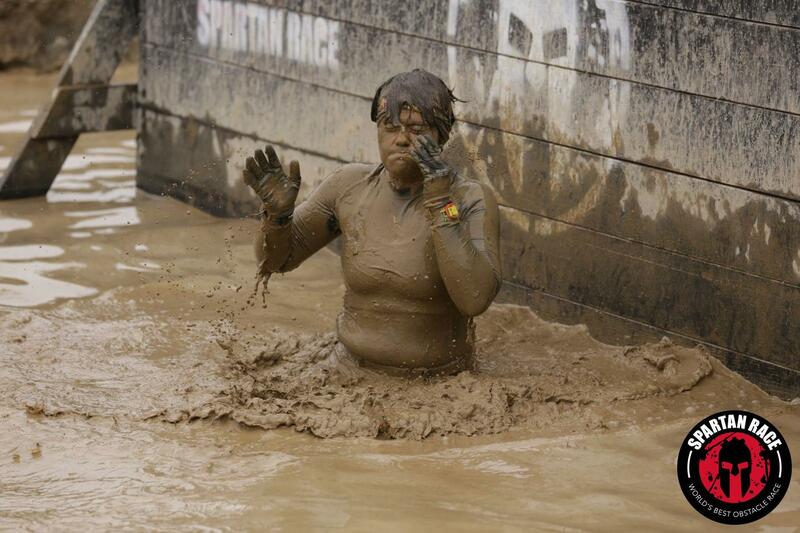 Look at that CLEAN mud! Plan the must do Spartan Trifectas at the beginning of the year. Leave myself open for random opportunity, too. Earplugs on a cord are extremely valuable, in order to not be bothered by the Dunk Wall (Exhibit B: Picture of an unhappy camper). Not having water in my ears for kilometres after keeps me happy! Race with friends who are faster than me, so that I push myself harder to keep up when I am tired. 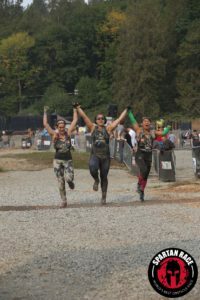 Race with friends who are slower than me, so that they can learn why I love obstacle course racing so much! Know which of my friends are competing in a race, so that I can keep my eyes out for hug opportunities on course! The best finish line victory is crossed with friends! How have I used this experience to plan my races for next year? 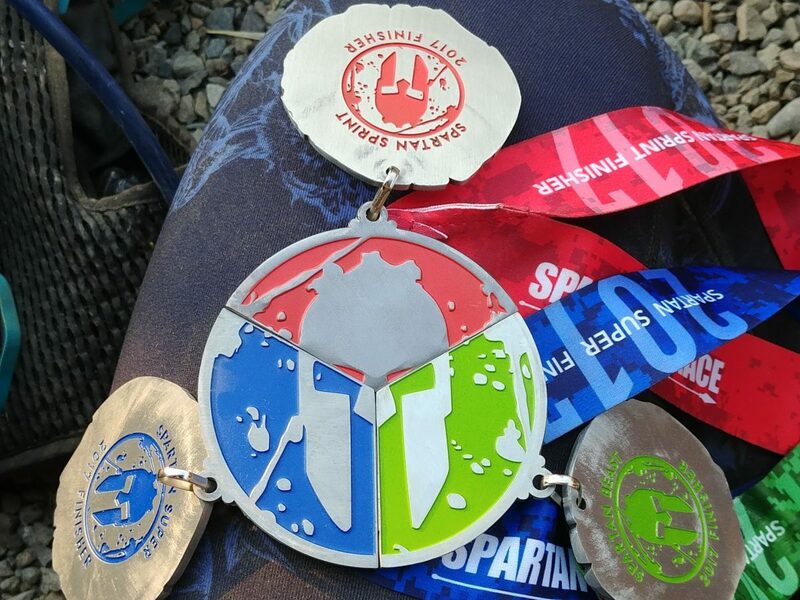 I definitely would like to do at least three Spartan Trifectas next year. I also need to get better at completing the obstacles. I am not too concerned about getting faster, as the more obstacles I can complete the first time, without doing any penalty burpees will automatically make me much faster. Mostly though, I just want to keep meeting and racing with all of these amazing people that make up the obstacle course racing community.